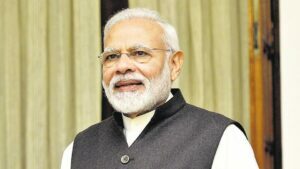 Prime Minister Narendra Modi was decorated with Order of St Andrew the Apostle – the highest state decoration of Russia, for exceptional services in promoting special and privileged strategic partnership between the two countries. This is the seventh international award that PM Modi has been honoured with. Prime Minister was conferred with United Arab Emirates’s highest civilian decoration, the Order of Zayed, which is awarded to people who contribute to international leadership in strengthening relations with the country.